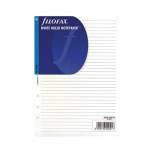 Filofax Personal Ruled White Paper (Pack of 30) 133008 Pack of 1 A4 paper for personal use. 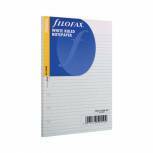 Crisp and clear white paper. 4 hole punch for convenience. Ruled for neatness. 80gsm. 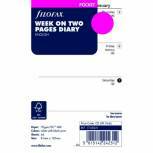 Filofax A5 Ruled White Paper (Pack of 25) 343008 Pack of 1 White paper for use with pocket organisers. Ruled for ease of clarity. Attaches to the rings in your organiser. 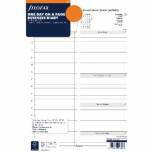 Provides a clean and clear writing surface. 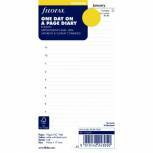 Perfect for taking down notes on the go. Size A5. Pack of 25. 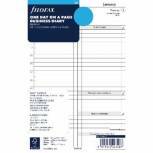 Filofax A5 Week To View Refill 2019 19-68522 Pack of 1 For use in Filofax A5 organisers, this diary insert for 2019 is 6 hole punched, keeping it secure in your organiser. 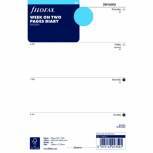 Each week is across 2 pages with the week beginning on Monday. 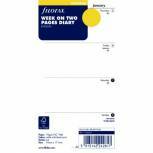 Each page also features a monthly calendar for easy referencing. Ideal for professional and business use.